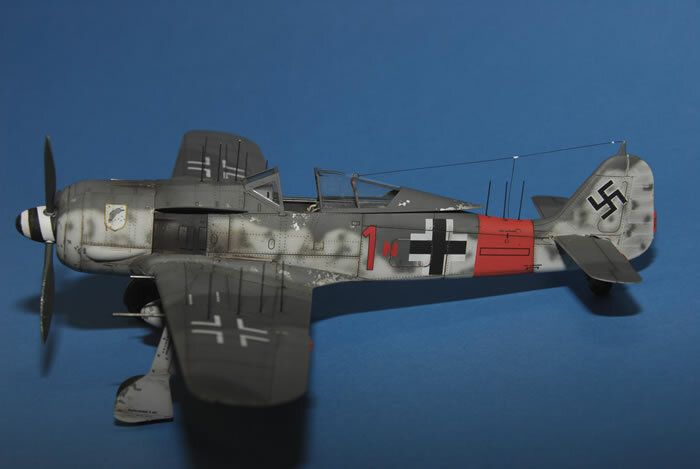 This is the Eduard 1/48 Fw190A-6. 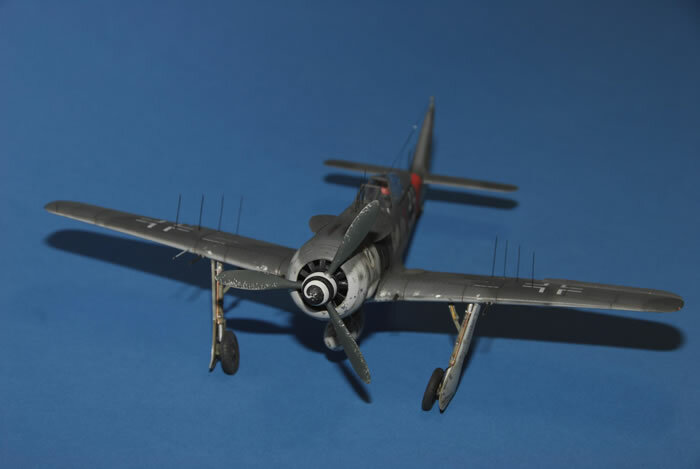 True to my nightfighter interest, it has been modified to depict an aircraft flown by Ltn. 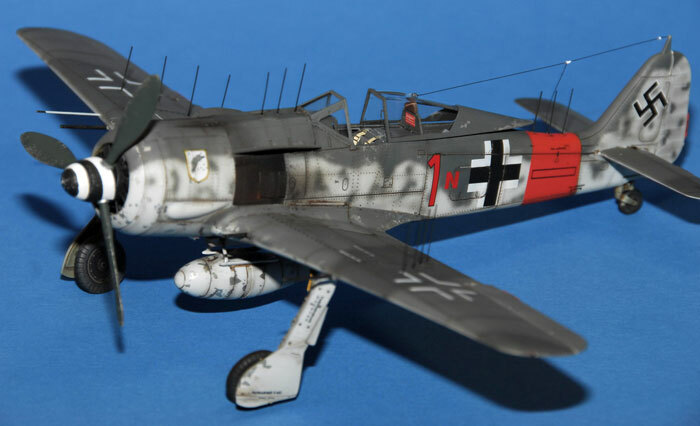 Klaus Bretschneider of 5./JG300. So a majority of the actual construction time was spent in the closing of these panels, filler, blending, more filler, more blending, etc. I'll keep them open for the next one! 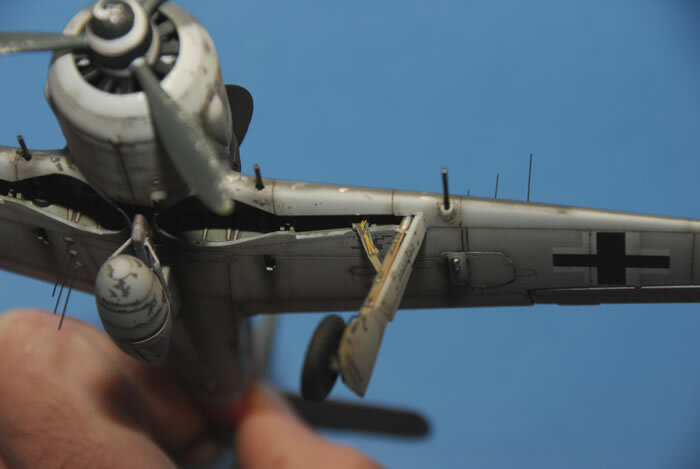 Wiring in the undercarriage bay (Hydraulic lines and the prominent yellow undercarriage microswitch wiring) was added. 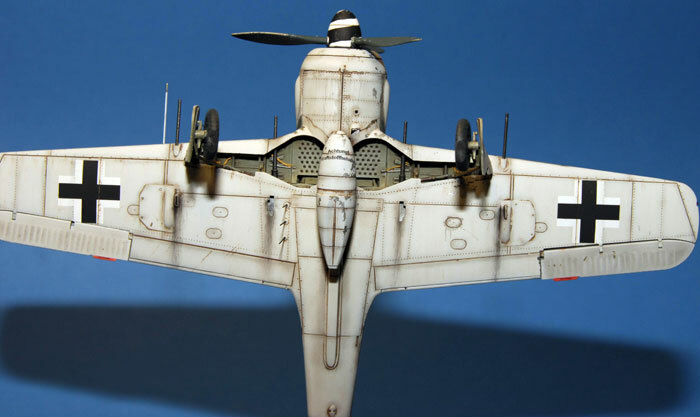 Some portions of the aircraft were then sprayed with MM non-buff Aluminum. Over that went some Maskol in certain places to simulate chipping, removed once the top coats of paint had been applied. 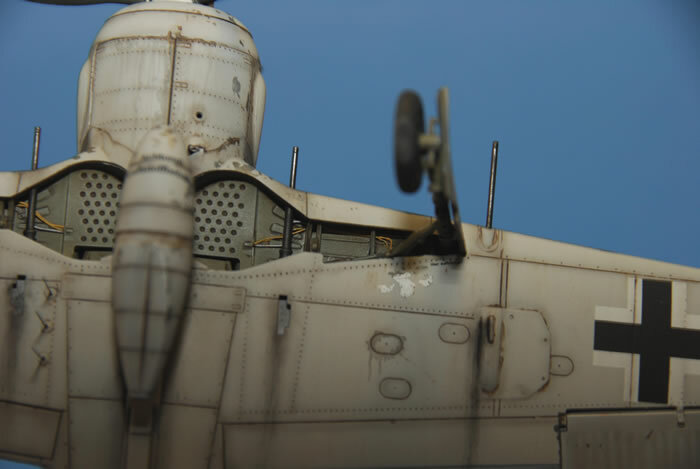 The camouflage was all applied freehand, using Vallejo Model Air RLM74/75/76. The spinner spiral was sprayed using a mask made from Tamiya tape. 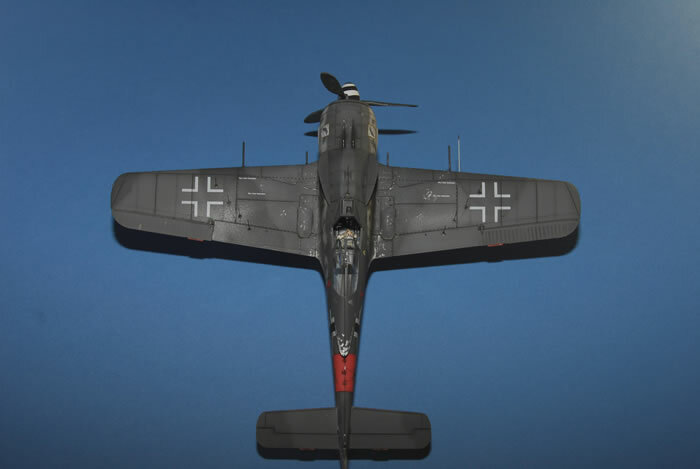 Future was applied, decals added using Microcsale Set/Sol. Panel lines enhanced using a wash of Guache Burnt Umber/Black and Burnt Sienna. Xtracolour flat coat finished the job. Overall, this is a beautiful kit, the detail is fantastic. 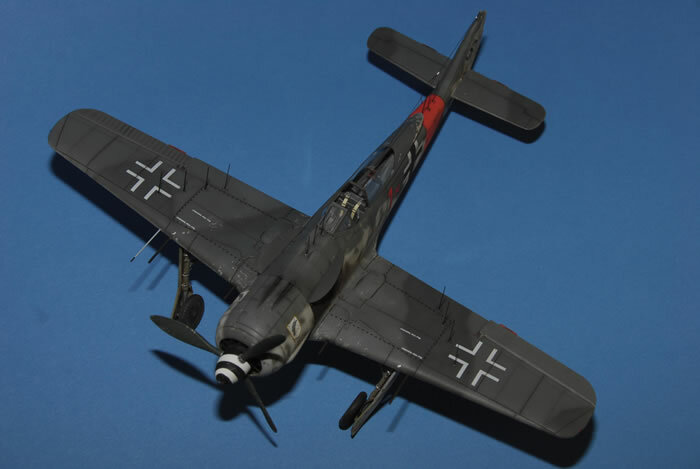 Everyone should build it at least once, especially if you are a Fw190 fan. I have to turn my attention to my stash of A5's, more A6's and A8's! But I'll try the next one with the panels open!